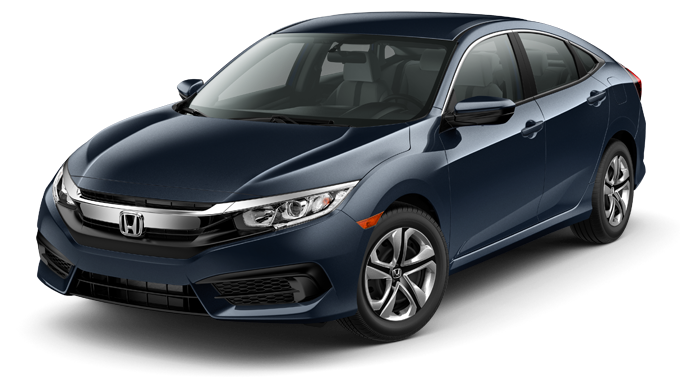 It’s hard for one car to be able to provide all kinds of drivers with everything they need and want, which is why the 2017 Honda Civic Sedan comes in five different trim levels to make sure there’s something for everyone. 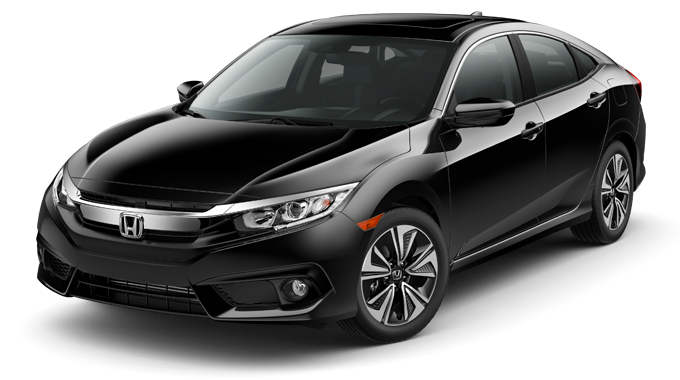 Some reviews make choosing the sedan simple, such as one on Edmunds.com that says, “Redesigned just a year ago, the 2017 Honda Civic has re-established its standing as a no-brainer choice for a small car.”Keep reading to learn what each model has in store and why we think the Civic Sedan is the obvious choice. The five trim levels and details about their individual setups, pricing, and other information is as follows. 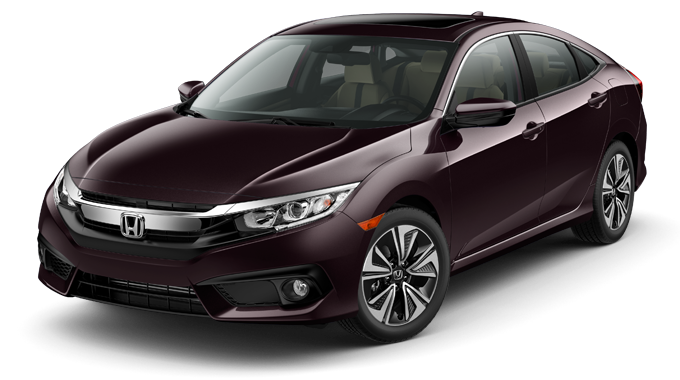 The base model for the 2017 Honda Civic Sedan lineup comes in with a great price of $18,740 MSRP for models with 6MT. * For this incredibly affordable price, drivers will receive standard features such as automatic climate control and a multi-angle rearview camera. There are also other wonderful optional add-ons available like the Honda Sensing suite. 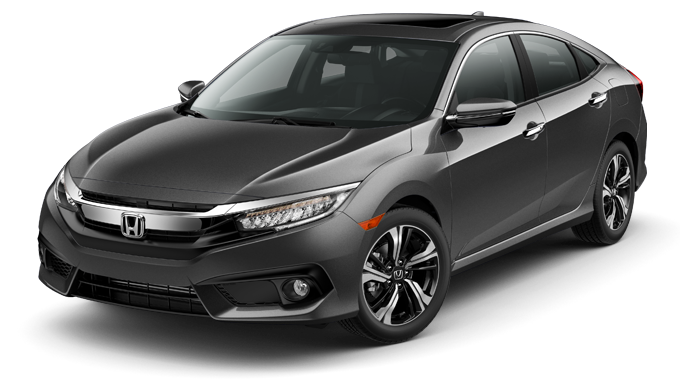 A continuously variable transmission is also available, and when equipped with a CVT, the Honda Civic Sedan LX gets an EPA-estimated 40 mpg on the highway. ** For those looking for a daily driver with all the basics plus some extras and amazing fuel economy, the LX is a great choice. Coming in at an MSRP of $21,140,* the next trim provides all the great features of the LX and then some. A CVT is standard for this model. Along with LX features, the EX steps up the technology game by adding features such as remote engine start, Smart Entry, a one-touch power moonroof, Apple CarPlay, Android Auto, and much more. This higher level of accessibility makes the EX the perfect buy for the savvy shopper who wants convenience at their fingertips at all times. The middle child of the lineup is priced at $21,500 for 6MT models. * The EX-T takes everything that the EX has to offer and amps things up, all while adding a few special features of its own like dual-zone automatic climate control and heated front seats. The EX-T also focuses on providing drivers with a boost in performance by offering a decklid spoiler and a 1.5L turbocharged engine with the ability to hit up to 174 hp with ease. Those looking for a versatile sedan that can function as a daily driver with a little extra pep in its step need look no further than the EX-T. The second to last in the lineup continues the trend of keeping prices low with an MSRP of $23,800. * The EX-L builds on the features already provided by the EX-T by adding things like an automatic dimming rearview mirror, a leather-trimmed interior, and an eight-way power driver’s seat. There’s even an available navigation system to make it easy to find your way to wherever you need to go. This sophisticated trim level is great for drivers who like their driving experience to be comfortable and simple. 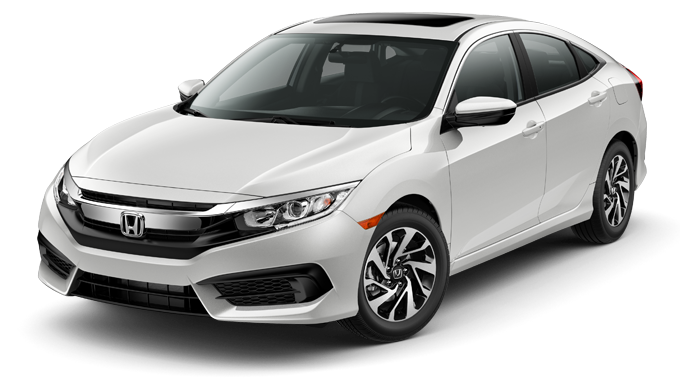 The grand finale of the 2017 Honda Civic Sedan lineup is the Touring trim, which is priced at $26,600 MSRP. * The Touring gives everything that all of the previous models have offered, but puts the cherry on top with a handful of features of its own. This trim comes standard with LED headlights with auto on/off, Honda Sensing, a 450-watt Premium Audio system, and heated front and rear outboard seats. By combining all of the unique aspects of each individual trim, the Touring is able to provide drivers with a ride that resembles that of some luxury brands. Drivers seeking a comfortable, quiet, convenient, and safe vehicle with more than enough technology to keep them connected have hit the jackpot with this trim. Such an amazing vehicle with so many varied trim options to choose from and an affordable price tag isn’t likely to stay on lots for long. We don’t want you to miss out on everything the 2017 Honda Civic Sedan has to offer. Get down to your nearest Central Illinois Honda Dealers location for a test drive, and we’ll help you find a great car at a great price.